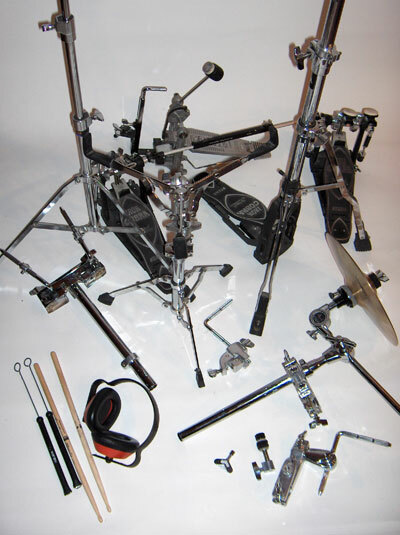 The accessories (or "hardware") are one of the major and specific contributions of modern drumset (or "jazz drums"). They are the different intermediaries and stands between instruments described above, which were traditionally played separately and carried with straps or handheld (which is still the case in the "marching bands", "drum corps" or "brass bands"). 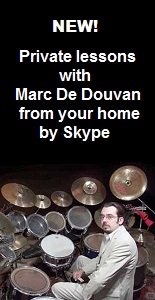 The modern drummer plays on a "set" of instruments, in every sense of the word, that is to say a group of instruments, which requires physical adaptations, which the variety, historicity and main physical characteristics are described in the following chapters.